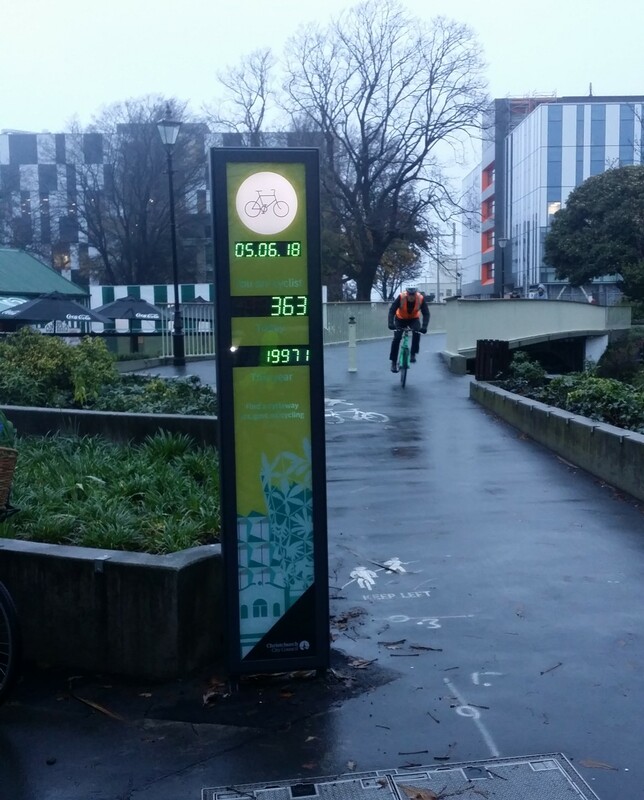 A nice development in Christchurch over the past few months has been the introduction of various automated cycle counters around the city and a webpage at SmartView that captures all of them together. This helps to counter some of the grizzles that “no-one cycles”, but it still relies on people having to go and hunt down some online data. These displays aren’t cheap; for the totem, detectors and installation you’re looking at about $43k. 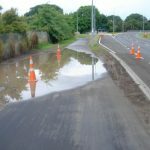 Not surprisingly, spending on a Council “frivolity” like this has generated a bit of social media grumbling (and even misplaced claims that the counter detects more than bikes…). But it’s really no different expenditure to one of those big overhead car parking count signs popping up around the city. In this case, not only does it provides useful information but also some encouragement for everyone who bikes past it. What do you think of the new count display? A good start, but would be really good if you could get your hands on the counters per hour, even if it was in a raw format. I really would like to see the counts of cyclists at peak times. This would allow the quantification of how much grid lock the cycle lanes save. Eg At the 8am rush hour on street x, cycle path x removed x cars from the road. If the data was then correlated with car travel times from some source, maybe, just maybe, we could find the correlation between the number of cyclists and car travel times. Race between Auckland Quay Street counter and Christchurch Boatsheds Bridge counter is on! What’s the prize for the best 12 month total? At circa 1000 passes per day, it will be close!